Here we can inform you of What's New with us or give you tips and info you need. Rev. 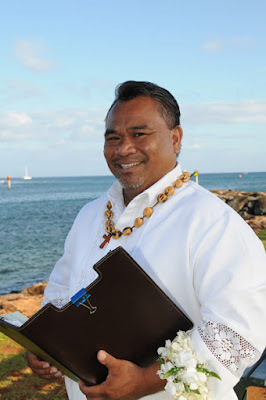 Jofrey Rabanal is our top Associate Local Minister for the island of Oahu. 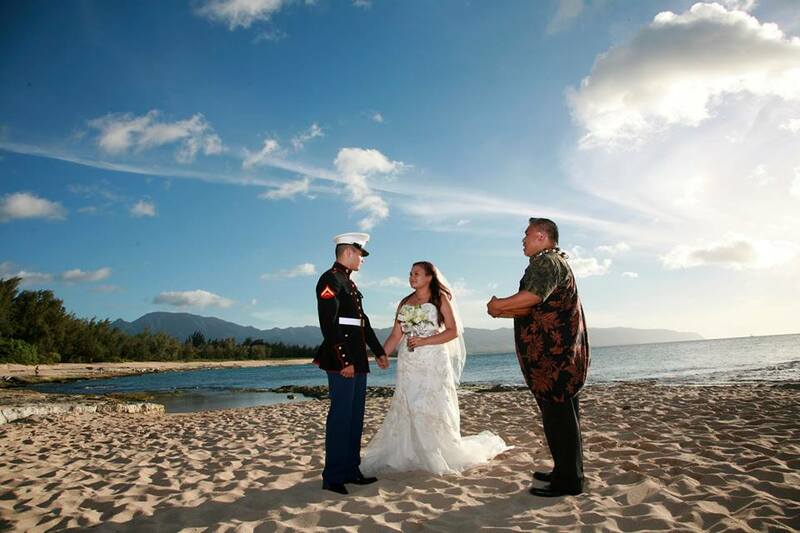 He is familiar with every wedding location on Oahu including military properties. Rev. 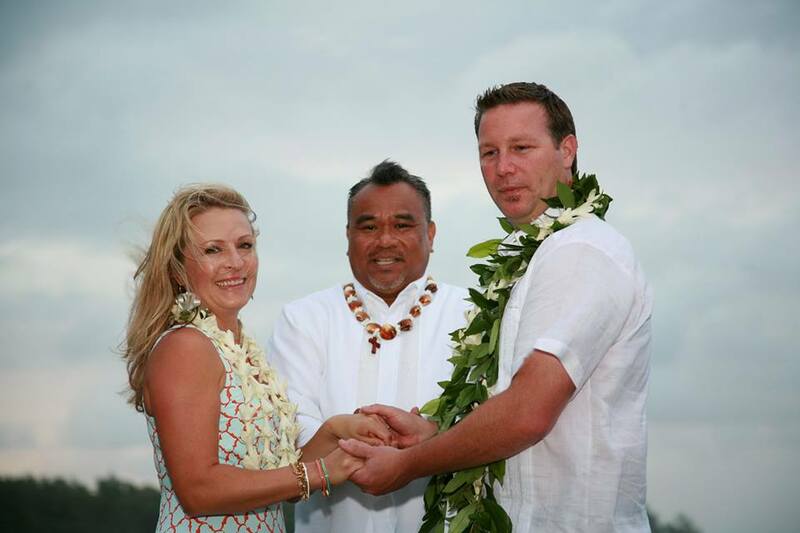 Rabanal will perform a religious Christian Hawaiian ceremony or a non-religious ceremony. He is a local man that has lived on the mainland long enough to have become very personable with all kinds of people. 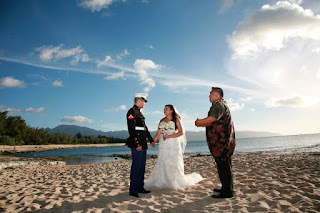 Of Filipino ancestry, he is popular for couples that want a traditional Filipino ceremony, as well as couples from the mainland who want an authentic Hawaiian wedding experience. Rev. 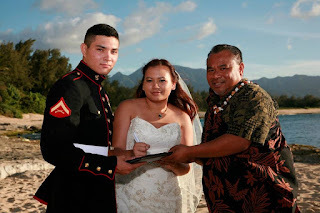 Rabanal is very friendly and personable, he is eloquent in his ceremony delivery and knows how to add that special personal touch. 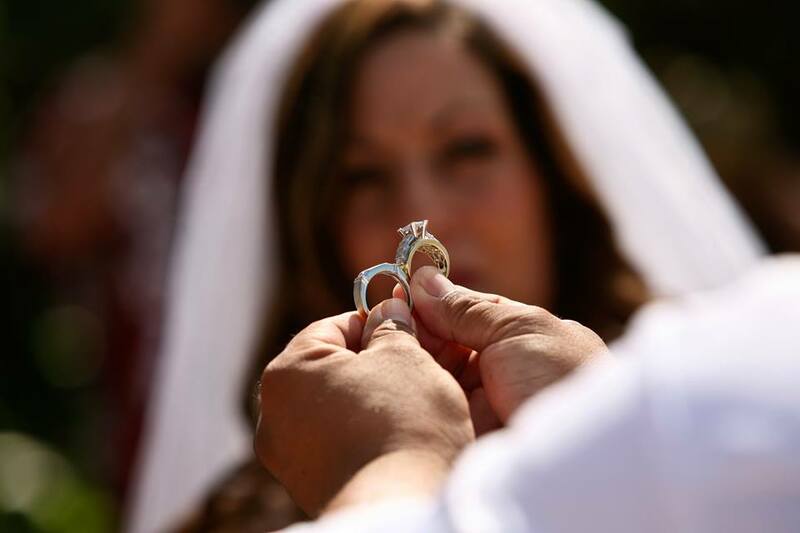 He is also open to reading vows or readings that the couples have requested. 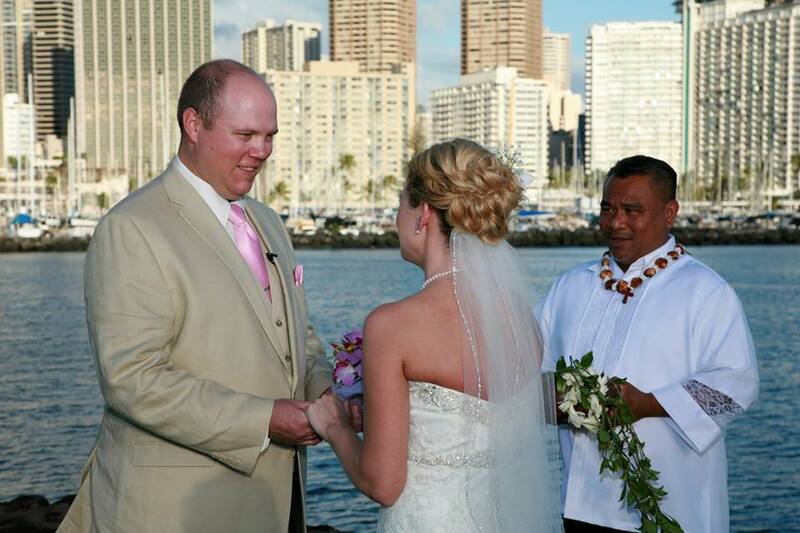 He can begin your ceremony with the Oli "Aloha: Hawaiian Welcoming Chant". 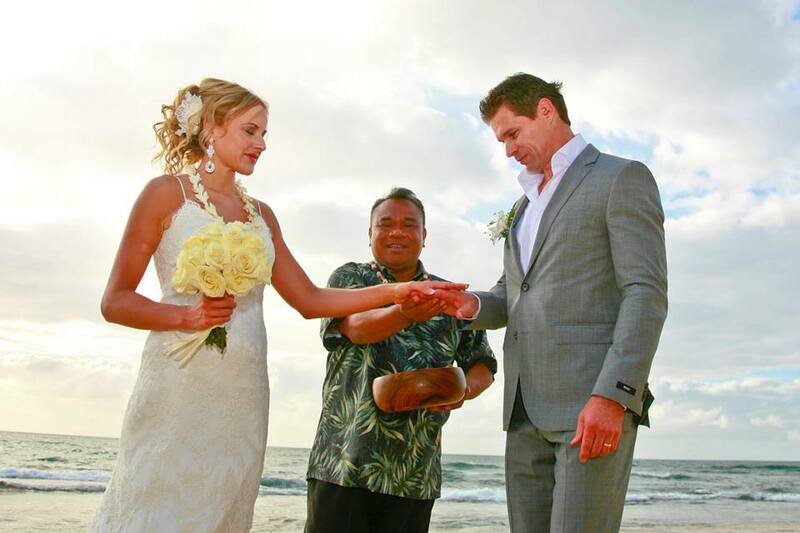 His touching ceremony, mild manner, and "Aloha Spirit" make him an indispensable resource to our Hawaiian ceremonies on Oahu. 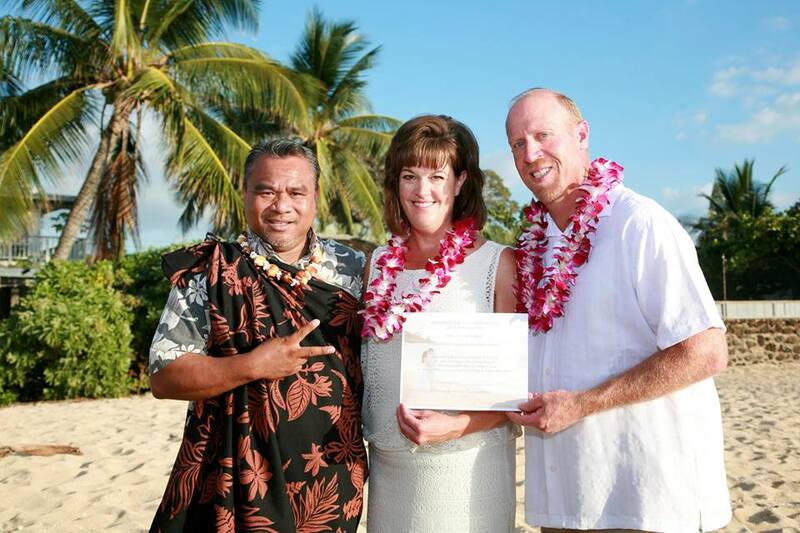 "Jofrey was familiar with our culture and super flexible..."
Here are some of Rev. Jofrey's Reviews. We wanted to incorporate some of elements from our Filipino culture. We wanted someone who was familiar with our culture. Luckily, our wedding planner came across Jofrey. Jofrey was reasonably priced compared to some other officiants that we got information on. A plus for Jofrey was that he was familiar with our culture. Jofrey was super flexible and easy to work with. 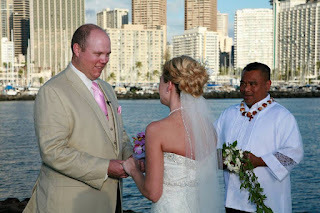 He really worked with us to create a ceremony that we included personalized information and elements. We also wrote our own vows. 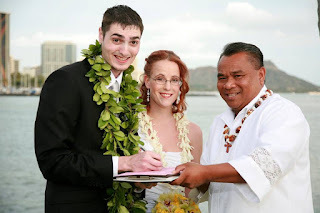 It wasn't a typical scripted ceremony that he uses on every single client. 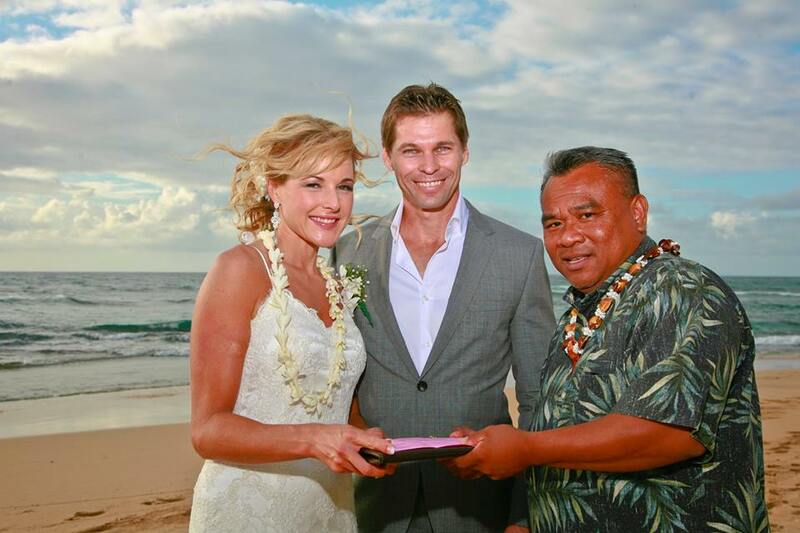 I personally wrote out the script and sent it to him to review and read before the wedding. He is also super personable! He has a really loud voice. This was helpful for our rehearsal because everyone listened to him, and followed his instructions. 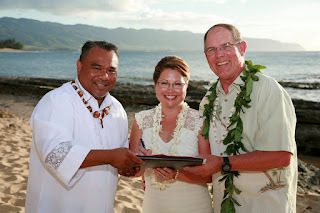 We were able to go through the ceremony 2x walkthrough before the big day. That helped even though the nerves kicked in the day of the wedding and we totally forgot the order when my parents gave me away! 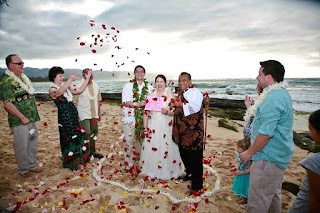 Nevertheless, our friends and family have commented on how beautiful our ceremony was, and how it was one of the best ones they have gone to because it was different. We thank Jofrey for allowing us to incorporate our creativity and our cultural elements as well, along with the Hawaii spirit! We highly recommend Jofrey! He is flexible, he is personable, and he shows up when he's supposed to on the phone and in person. "Our wedding day was amazing!" We met Rev. Jofrey Rabanal at the Bridal Expo a few years before our wedding and instantly loved his professional and outgoing demeanor. 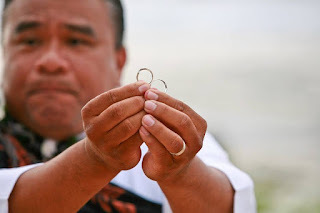 He was actually there representing one of his fellow officiants, and wasn't comfortable promoting himself, so we jotted down his name and planned on contacting the reverend he was representing and inquire about him. For some reason, we kept postponing the email, and before we knew it, another Bridal Expo rolled around and we decided to do another walk through...we found the same booth with a different man greeting prospective clients and assumed that must be Rev. Ron Valenciana (the Reverend that Jofrey was representing last time). We approached him and explain that we had been to the Bridal Expo earlier that year and met his colleague, and wanted to inquire if he was available to perform our wedding...We didn't want to step on his toes, but we really enjoyed the conversation we had with him and thought he would be perfect for our small and intimate wedding. Rev. Valenciana immediately waved away our concerns and was more than happy to provide us with Rev. 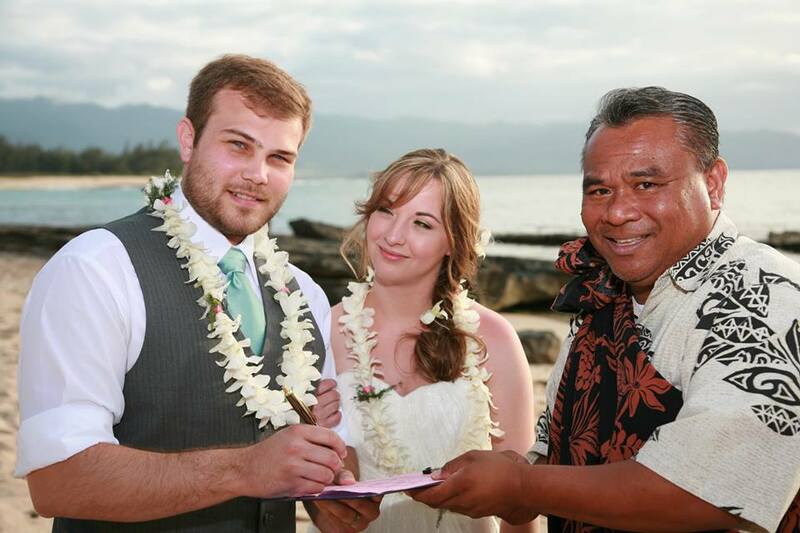 Jofrey's contact information and wished us a beautiful wedding and a happy lifelong marriage. We wasted no time calling Rev. Jofrey. He was on the road and on his way to a wedding, but pulled his car over to take our information and promised he would call as soon as the ceremony finished. True to his word, he called us right back and confirmed our booking. Throughout the planning, we checked in the Rev. 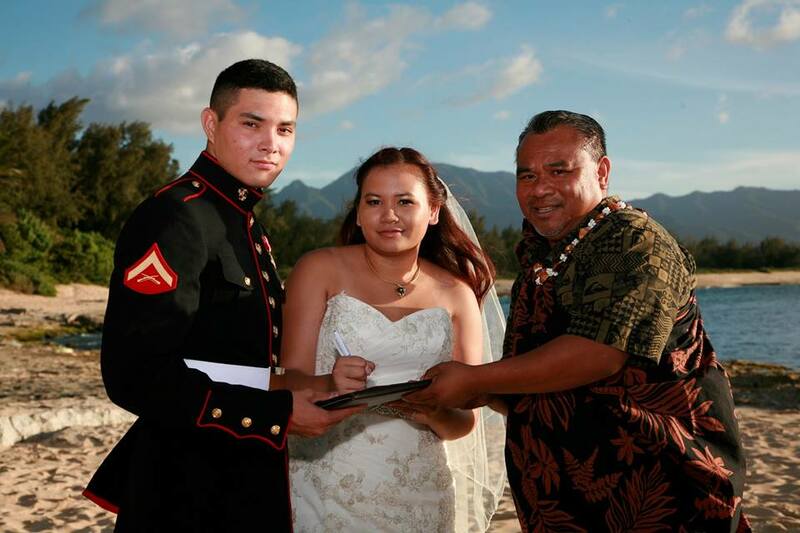 Jofrey and requested that he read a poem I found to open our ceremony, and informed him that I would be signing my vows to my husband. He was very flexible with our requests, and always easy to get in touch with. 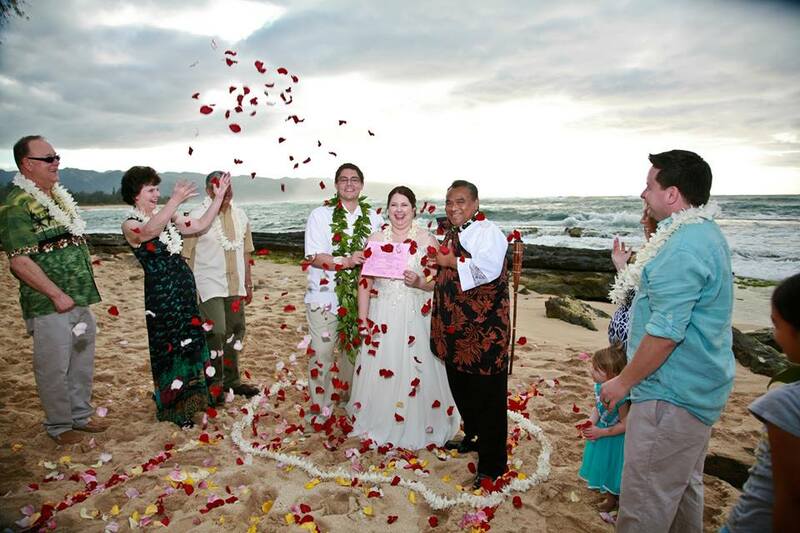 Our wedding day was amazing, and I'm so glad we chose Rev. Jofrey. The ceremony he performed was heartwarming, funny and very intimate....just the way we pictured it. 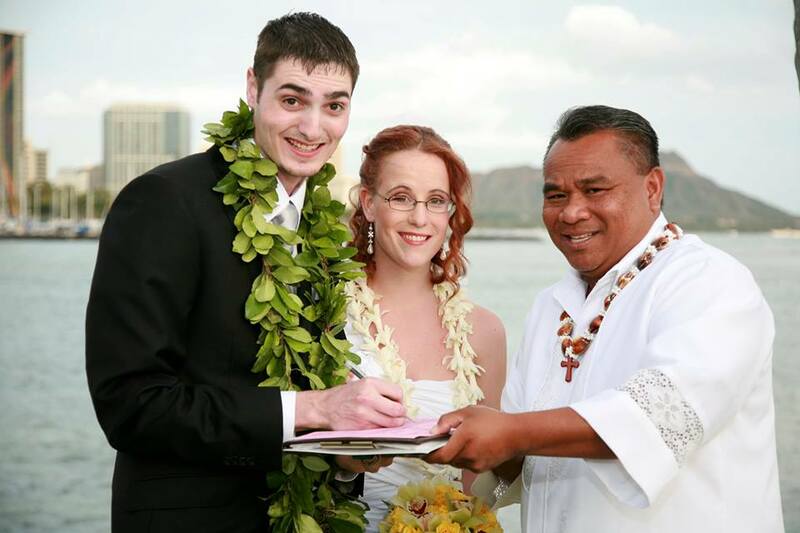 When it came to the marriage license, he sends 2 copies to the Department of Health (one hard copy and one electronic, so there's no mistakes). To arrange Rev. 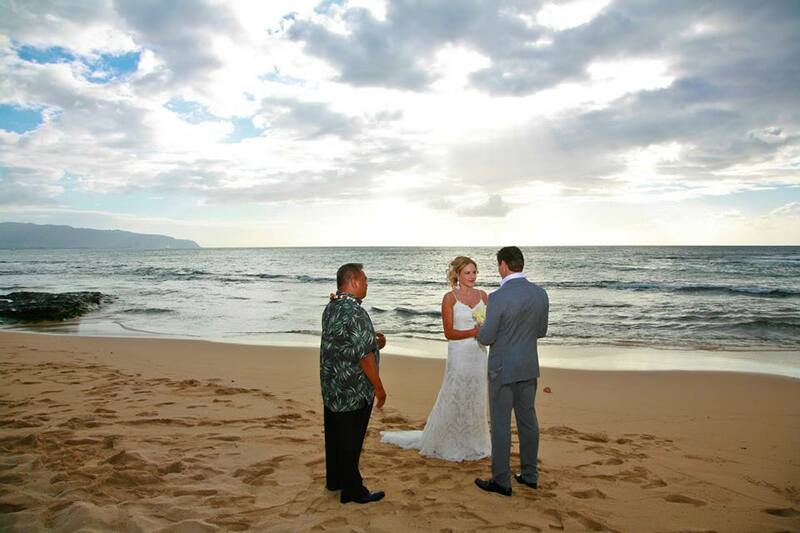 Jofrey Rabanal for your ceremony in Oahu, please call Hawaiian Island Weddings at 808 875-0350 or email us.